Matthew Krishanu (b. 1980) was born in Bradford and is based in London. 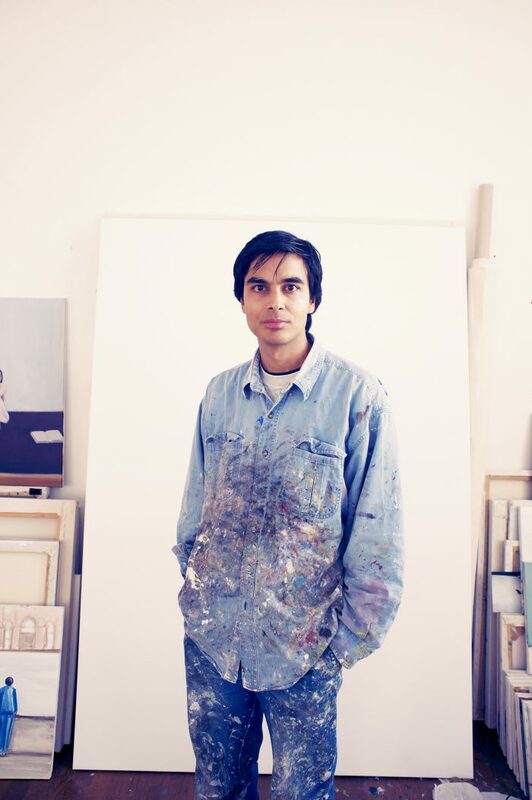 He completed an MA in Fine Art at Central Saint Martins in 2009. Exhibitions include: The John Moores Painting Prize 2018, Walker Art Gallery, Liverpool; In the City, East Gallery, Norwich (2018); Contemporary Masters from Britain, Yantai Art Museum, Jiangsu Art Museum, Tianjin Academy of Fine Arts, China (2017-2018); Aviary, Transition Gallery, London (2016); Contemporary Drawings from Britain, Xi’an Academy of Fine Arts, China (2015); Another Country, The Nunnery, London (2014). He has works in collections including the Arts Council Collection, Priseman-Seabrook Collection, and Jiangsu Art Museum, China.